I remember loving snow days. As a teenager, I would have the house to myself and all the time in the world to lounge, read and … and sleep. As an adult BS (before Sophia), I would spend the day working from home also in my pajamas and round out the evening with a super comforting dinner and drinks. As a mom, snow day means juggling two kids and work without our nanny. It means getting up super early to work, working through their nap and then, working some more when they go to bed. There were pajamas and TV but only for Sophia. We let ourselves go, and permitted Sophia to watch two cartoons. The first was My Neighbor Totoro and the second was Ratatouille. We couldn’t just plop both kids in front of the TV all day and so there was plenty of other activities going on. We structured the day to include self-play, science, crafts and reading. 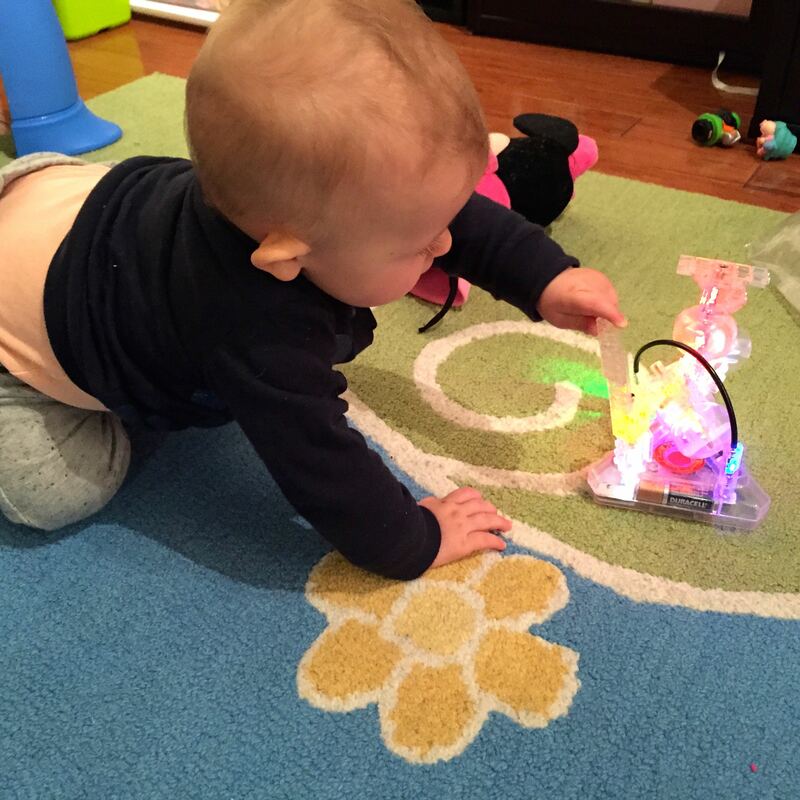 Sophia played with Laser Pegs and learned the basics of circuits. Eliza helped take the circuits apart :). We also learned about plants and how they come from seeds. 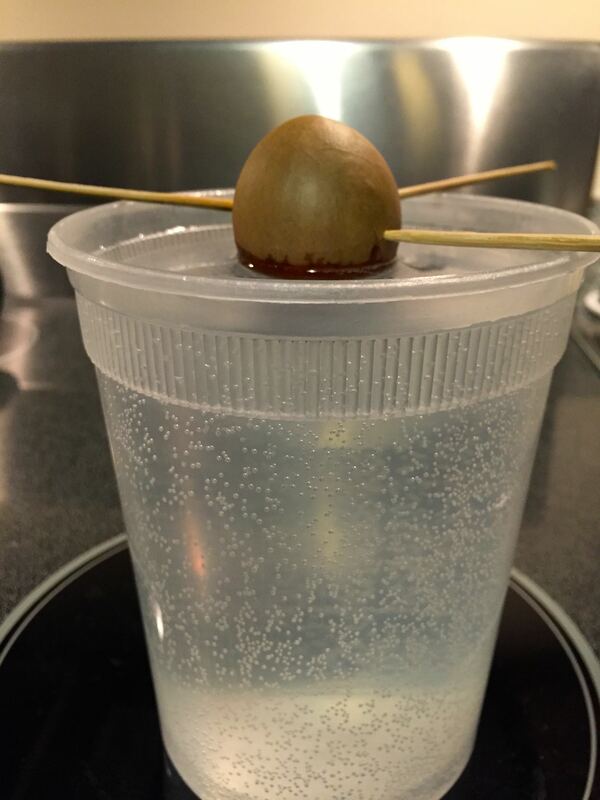 Since I best learn through application, we planted an avocado seed in a container hoping it sprouts. Sophia checks our little seed every hour or so looking for the “leaves”. The delicious avocado that housed the seed in our science lesson became a part of our mostly healthy and most definitely delicious lunch. 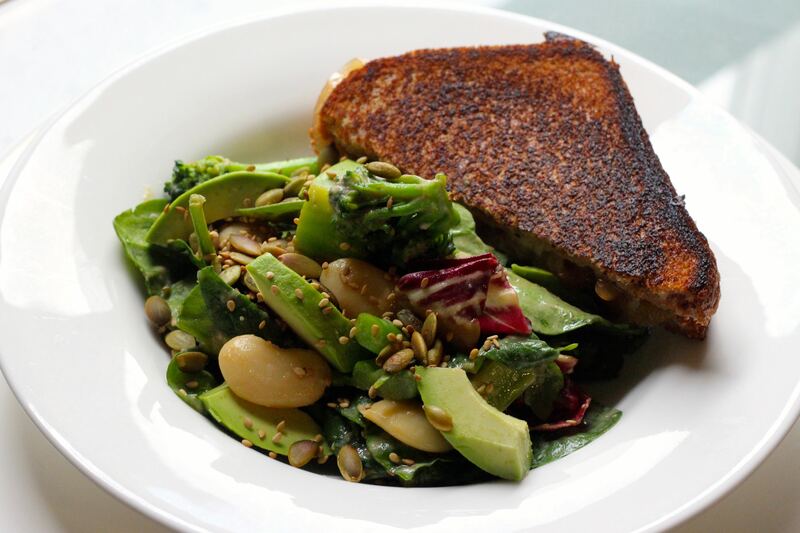 This is broccoli, bean and avocado salad with miso-yogurt dressing and topped with pumpkin and sesame seeds. That was served with a french onion grilled cheese. Mmmmm…. so good. And since it is likely that you’re already hungry after looking at the picture above, I may as well share a few more dishes from this week’s food roundup. 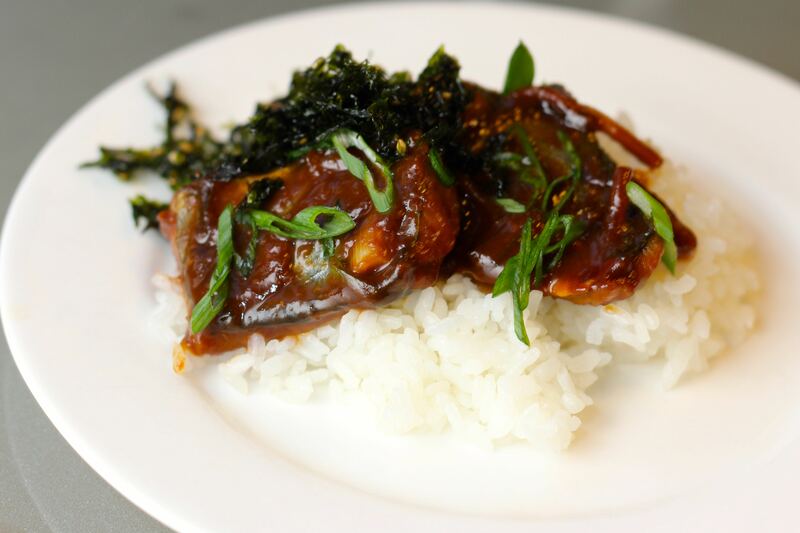 Here we have Saba no misoni which is Mackarel stewed in miso served atop japanese sushi rice and topped with seaweed. This dish is a favorite at our house especially for Sophia. Salty and sweet and topped with crunchy seaweed makes every bite oh so very satisfying. And lastly, you can never have enough roast chicken though the usual method of tossing a bird in the oven can get a bit boring. 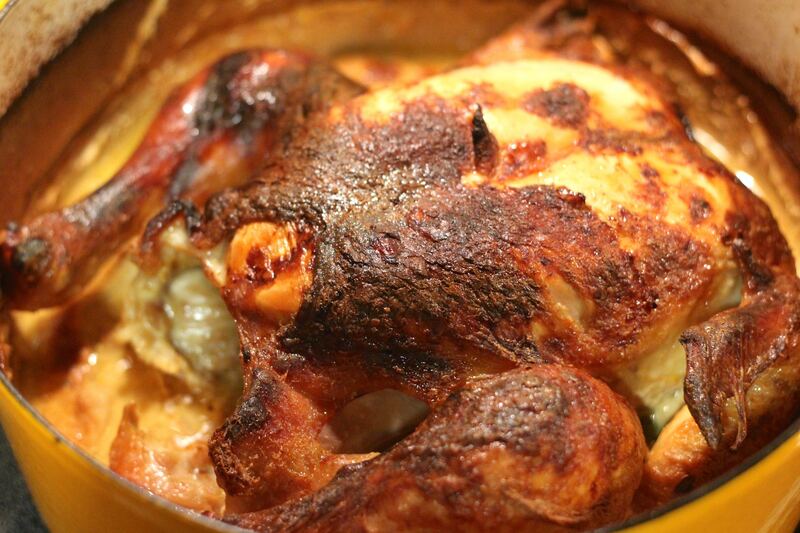 We tried Jamie Oliver’s roast chicken in milk and were very happy with the results. It was perhaps the most tender and moist roasted chicken I’ve had and as a bonus, our house was perfumed by garlic and cinnamon while it baked. The weekend is upon us and with it the promise of warmer weather (seriously, though I also am a skeptic at this point), more delicious meals, more playing, more science learning and just … more.